Discussion in 'iPhone and iPad Games' started by HeroCraftGames, Nov 8, 2016. Let's start working right now, tap-tap the DOWNLOAD button! 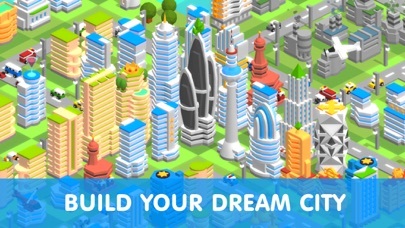 • This city won't build itself, tap to build it! 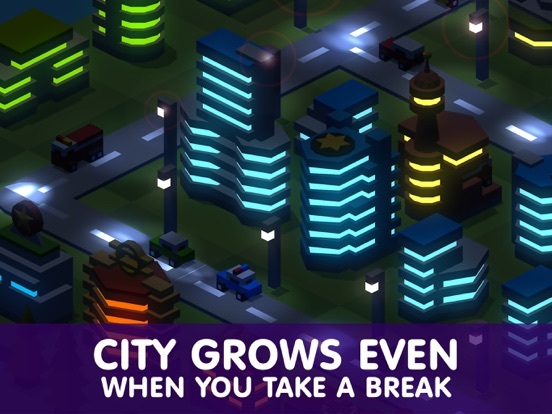 • The city keeps growing and bringing you money even when you're away! • Fires, crime, unemployment -- deal with everything, you're the boss! 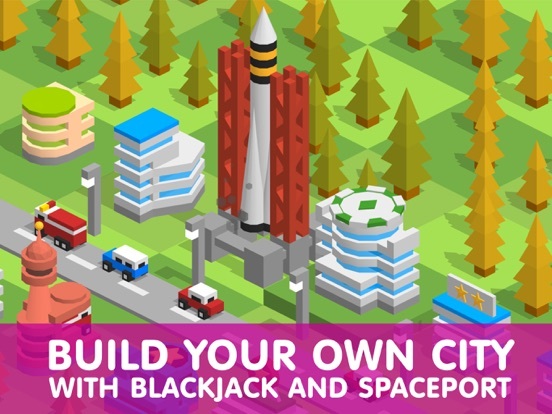 This is a really awesome hybrid between city builder sim and clicker/idle game style. You can either tap to build your projects, or just hold press. If you hold it uses energy that is replenished over time. 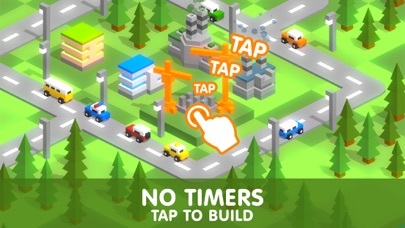 You can still build after it's gone, but you need to tap. Really fun mechanic. There's actually some deeper systems in this game. You need to balance power and unemployment and housing etc. 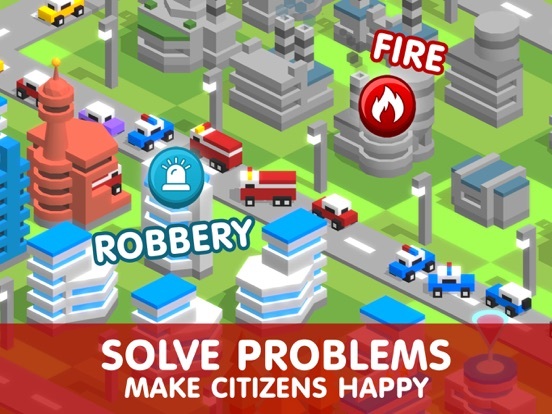 and there's a TON of things to build like police and parks etc that change up the gameplay even further. It's quite deep and engaging. Resources generate over time as well. There's a day/night cycle which is awesome and some graphics options to make it prettier or run smoother depending. You can also enter the various buildings and "work inside" with the tap or long press mechanics mentioned earlier. This is great if you need a certain resource you can just go to work on it. So many innovative and interesting ideas in this title. Excited to see where it goes! The ability to start a new island would be cool. 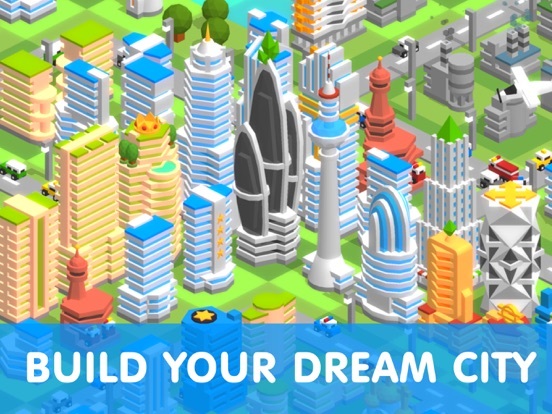 All in all a really nice hybrid between a deep city sim and idle style game. Looks like a lot of love when into this and I hope it gets future updates and support. Also, the ability to start a new island would be cool. Actually there is a option to more/bulldoze placements. 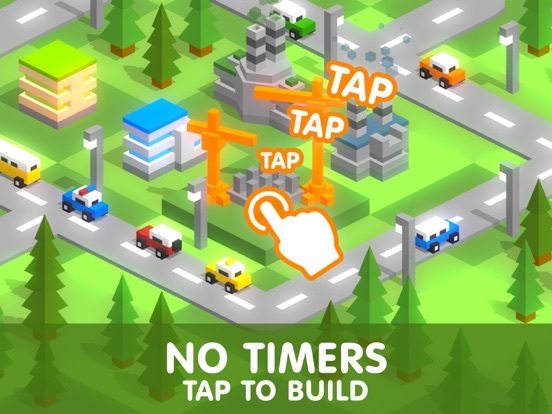 Tap services when tap on a building, but you will need architectural administration building and 50000 credits to move and 10000 to rotate a building. 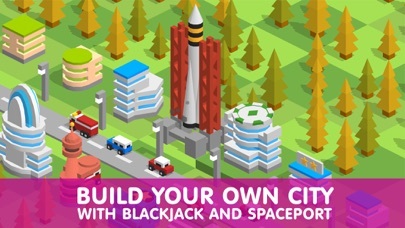 So it's an option unlocked by developing the city. Makes sense! I just deleted it and will restart and be more careful for now. Thanks for the tip, really enjoying the depth and graphics and everything of this game. Btw, just noticed there's some codes on their facebook page. 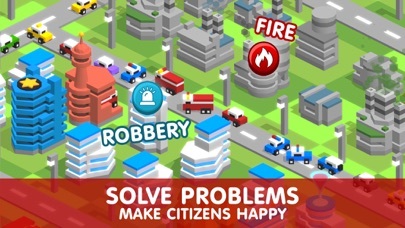 You can also use this menu to destroy any selected building or road at any time. Yeah I love that there's no hard timers. Anything you need you can tap for. Even the in-game currency can be worked for through the amazing conversion system. And I love that the strategy just gets deeper and deeper. Police stations, fire stations, etc etc. Abd the different buildings have very real changes introduced into the game. This deserves a lot more attention. There are timers that can shut down your game. I made the mistake of upgrading my gym and having not enough people to fill the jobs and so i was not able to regain energy. While people do move in over time its at a slow peace so left with nothing to do but wait and wait. So before you upgrade service building etc, make sure you have enough spare people to fill the jobs it needs straight away. Keeps crashing after a minute or two of play for me on my iPad 2. I know it's a creaky old device but I've seen it deal with more taxing stuff. Shame; looks like my kind of thing. That's not a timer, it's called 'bad city management'. Not the same thing as enforced freemium type timers meant to slow your progress. Also, if you enter the apartment buildings you can speed up population gain by tapping. But yeah, all the info is there and easily accessible. If you create more jobs than you have people then it's kind of your fault. Still not a timer tho. The only thing i don't like is waiting for energy. All the other stuff like steel, concrete , population is fine and perfect for strategy but I don't like the energy timer when u run out . This game is still 5 Stars. Really fun. When you build the Gym (fitness center) you can replenish your energy so you'll never run out. It's important to note that you don't need energy to BUILD things, you can just tap. The energy is for the auto-tap. You DO need energy when you work in the various buildings tho. But again, when you build the fitness center you have an unlimited supply. Playing on my phone now. You can't though. 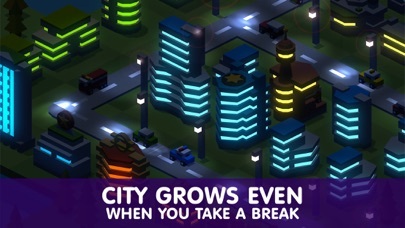 When you're out of energy it says you're too tired to work; tapping does nothing, you need energy to speed up population increase. I made the same mistake with the fitness centre. Far too easy to get stuck like this IMHO; a warning dialogue along the lines of "You do not have enough population to support this upgrade at the moment, do you wish to continue?" would be welcome. I'd restart but I've already bought the cheap set of keys when I was fed up of waiting for a key for the police station. Nothing to do but wait I suppose unless I'm missing something. Or demolish a building so you can use it's staff instead. Oops! I can't get the movie theatre to work at all - I click on it,the screen goes dark then a few seconds later it just goes back to normal screen again - anyone else got this issue? I'm finding the "movies" work intermittently. Sometimes ok and other times there's a message saying no ads available due to connection problems. My movies are unavailable to watch and I am on the quest to watch a movie so...maybe it will start working?